Our home must have a dishwasher. Our home needs electricity and plumbing. Our home can't smell bad. Our home has to be big enough to store all of Oprah's toys. Most importantly, our home needs to be within walking distance of Dunkin Donuts. Living within walking distance of Dunkin Donuts was Callie's and my most important criterion for selecting our home. That way when we eat donuts all the time, we can walk off all the fat. Plus, if we have too much coffee caffeine in our system, we can yell and kick our daily trash cans, on the way home, outside. 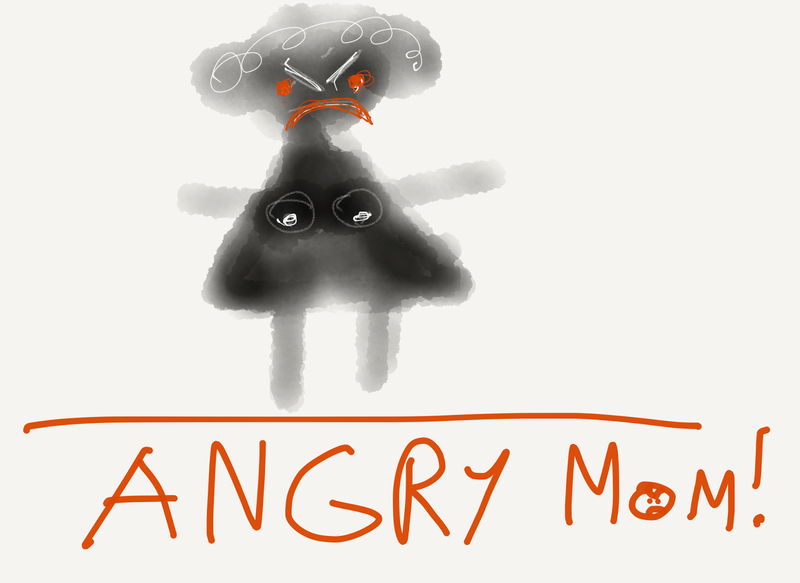 Yelling and kicking trash cans is an outside activity. Just ask your mom*. We were excited about moving next to Dunkin Donuts- until we visited the Dunkin Donuts! Turns out, compared to all the other Dunkin donuts I have been to, the Dunkin Donuts Dunkin Donuts at 1779 Woodruff Road, Greenville, South Carolina, 29607, is sucky. Below, I will tell you why. But first, below is a nice picture of our cat Oprah. Let's start with something exciting then move to something sucky. That way you can know I felt when I first went to the Dunkin Donuts at 1779 Woodruff Road, Greenville, South Carolina, 29607. I felt excited then sucky. 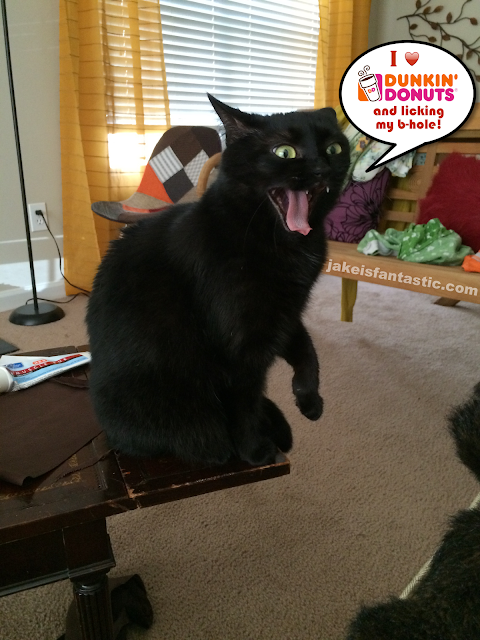 Oprah yelling about how much she loves Dunkin Donuts (and licking her b-hole). WHY DUNKIN DONUTS AT 1779 WOODRUFF ROAD, GREENVILLE, SOUTH CAROLINA IS SUCKY. 1. 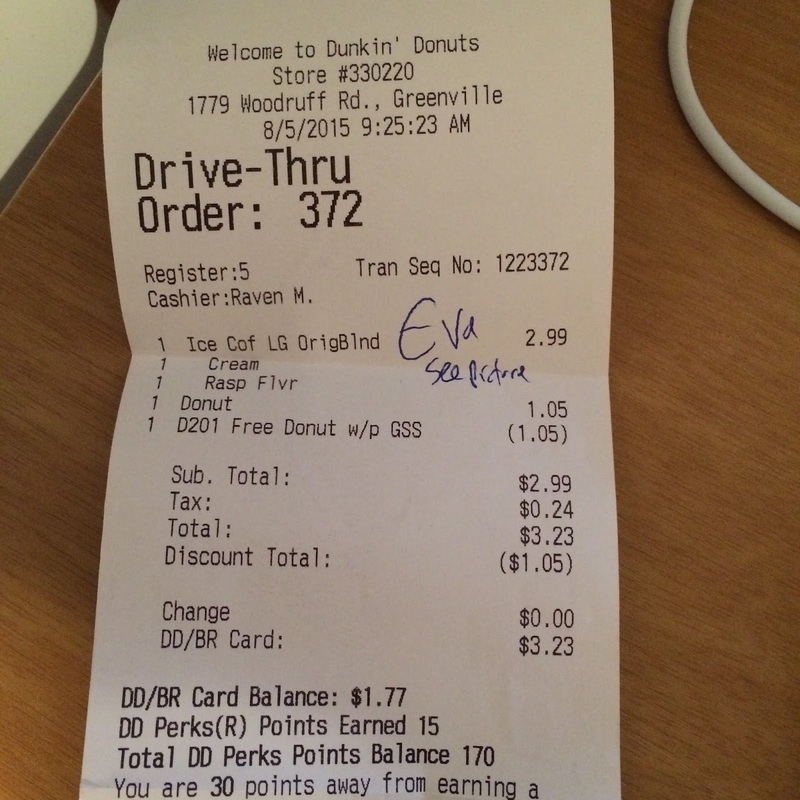 Dunkin Donuts at 1779 Woodruff Road, Greenville, South Carolina does not give free refills. 2. The Dunkin Donuts at 1779 Woodruff Road, Greenville, South Carolina employees don't smile. 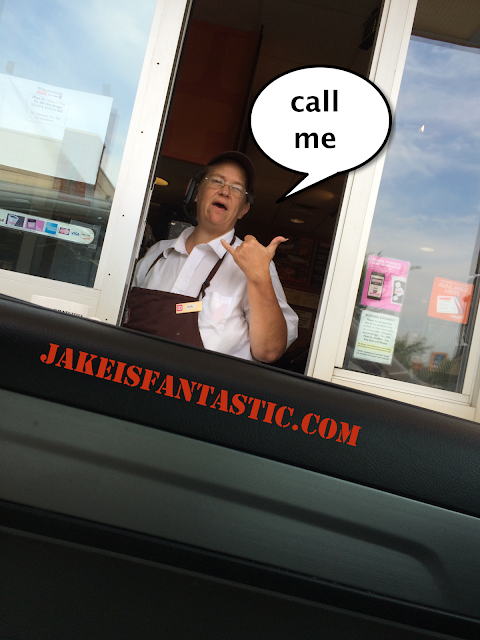 Raven from Dunkin Donuts, 1779 Woodruff Road, Greenville, South Carolina. 3. The Dunkin Donuts at 1779 Woodruff Road, Greenville, South Carolin receipts lie about who helped you. First, Eva handed my drink to Dwayne. Then she got it back and handed it to me. The receipt says Eva's name was Raven. Eva helped me, but the Dunkin Donuts receipt says Raven. Why lie? First you lie to me- then you hit on me? Smooth. The Dunkin Donuts Dunkin Donuts at 1779 Woodruff Road, Greenville, South Carolina, 29607 doesn't give free refills. They don't smile. They lie. However, Tracy was really friendly. 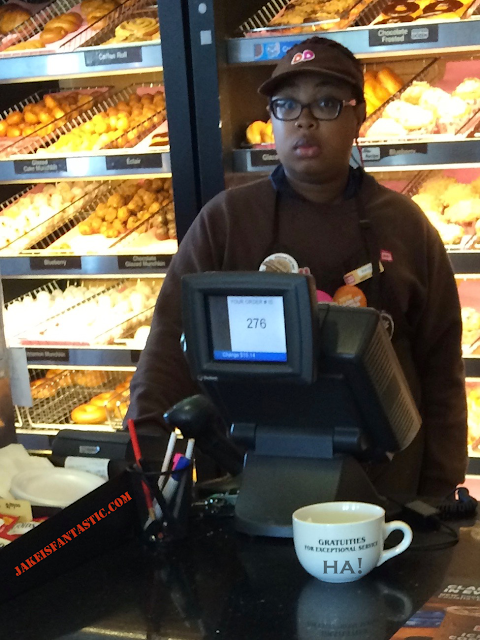 I think she may have worked at another Dunkin Donuts. *Unless your mom is stupid. Then don't ask her anything. You tell her what's what. Also, I know this asterisk is way at the bottom and you probably forgot what it is referring to. Guess you'll just have to go back up to the top- or die trying.